Each week of the summer is centered around a theme such as Hawaiian Luau or Chocolate Lovers Week. Activities typically begin each day with a flag raising ceremony and the pledge of allegiance. After that, the day is filled with activities involving the theme such as a limbo contest or a chocolate slip n’ slide. In fact, Jellystone Park Lake Monroe has been recognized among all Indiana RV parks as “One of the 10 Best Camping Spots in Indiana” for the activities and amenities we offer. Take advantage of these remaining warm days and squeeze in one more family summer trip – you won’t regret taking time together before the hectic school schedule begins. Visiting Indiana RV Parks is a great way to relax as a family while enjoying all the outdoors has to offer. Jellystone Park Lake Monroe is located just one mile from Lake Monroe, a popular southern Indiana destination for boating, fishing and swimming. 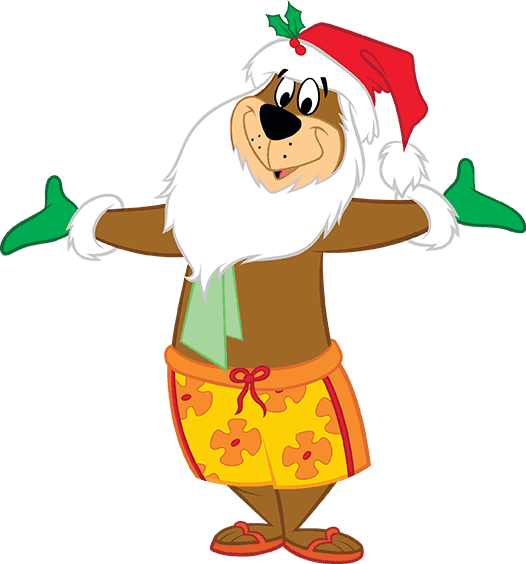 We also have plenty of swimming on site with Yogi Bear’s Water Zone and our two pools. 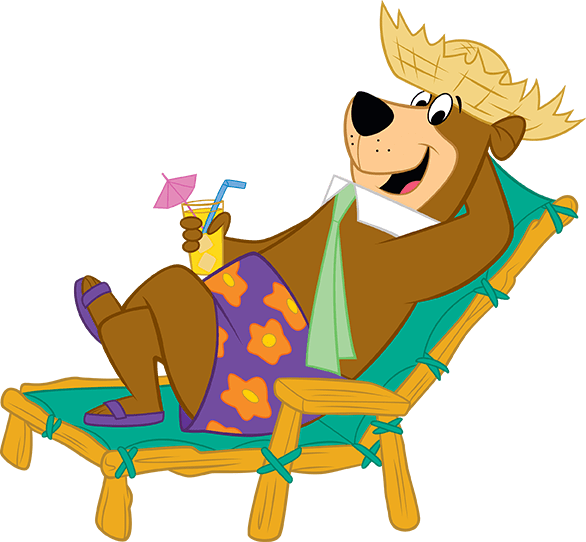 Yogi Bear’s Water Zone provides hours of fun and you won’t find other Indiana RV Parks near Bloomington with a splashpark. We also have a traditional swimming pool and a shallow kids pool with a zero-depth entry, a water-spouting hippo and a mushroom-shaped splash feature! There’s places for parents to relax too. Pull up a lounge chair or get some shade under our awning. Hungry? Order a pizza or ice cream from our snack bar. If you want to venture out, we’re close to Indiana University Bloomington which boasts one of the most beautiful college campuses in the country. Brown County and Nashville Indiana are just a short 30-minute drive from Jellystone Park and are full of hiking trails, biking trails, comfort food and unique shops. There’s a wide range of Indiana RV Parks to choose from, but you’ll see Jellystone Park Lake Monroe has high Facebook and Google ratings, activities for the whole family, upscale amenities, and a great location in the hills of southern Indiana. For accommodations, we have RV campsites, tent campsites and 20 cabins that range from rustic to deluxe. Late summer is great time to visit southern Indiana because the days are still warm, but the nights start to cool. Soak up the sun during the day, then throw on a sweatshirt for evening activities like karaoke or bingo. What better way to wrap up summer than spending it with family at one of the best Indiana RV Parks. You can’t get this time back, so make plans to visit Jellystone Park Lake Monroe! Get ready for fun as we wake up Yogi Bear™, Boo Boo™ and Cindy Bear™ with your pots, pans and noisemakers. Stay warm and cozy by wearing your pajamas all weekend long. Complete tasks, follow clues, and solve puzzles to complete the Amazing Chase. Complete tasks, follow clues, and solve puzzles to complete the Amazing Chase. We’re breaking in our brand-new foam/bubble machine this weekend so one clue might be in the middle of a foam party! Celebrate the Best Moms Ever with us. Moms get a free gift at check in, kids can make Best Mom Ever cards, there will be fun moms vs kids relay races, and you can join Cindy Bear™ at the glow stick dance! Start your engines! Bring a large box and build your very own car for the Jellystone Park 500 Box Car Race! Join us Saturday evening for a glow stick wagon ride with Yogi Bear™ and Jump & Jam at the Jumping Pillow. Celebrate Memorial Day and honor our country’s fallen heroes the Jellystone Park™ way. Celebrate Memorial Day and honor our country’s fallen heroes the Jellystone Park™ way. We’ll kick off the summer with an ice cream social, pool games, volleyball, and horseshoe tournaments. Plus, you can help us raise money by bidding in our charity auction and participating in our Color Run. 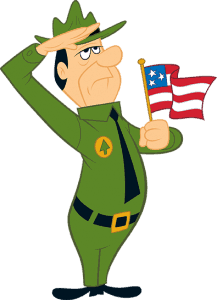 Sheriff Yogi Bear™ will be searching for the outlaws who have been stealing pic-a-nic baskets. We’ll make sheriff’s badges, have water pistol shootouts, barrel races, pool games, and relay races. Plus, there will be a wet and wild hayride! Join us for an icky, sticky, Do You Dare weekend. There may be a pickle juice jug, worm eating, blind baby food tasting, and maybe even something involving eyeballs. Want more? How about a cheese puffs head toss, Izzy Dizzy whiffle ball, and $1 Bingo on Saturday night? We’re “kicking off” Father’s Day weekend with The Ultimate Kickball Tournament. 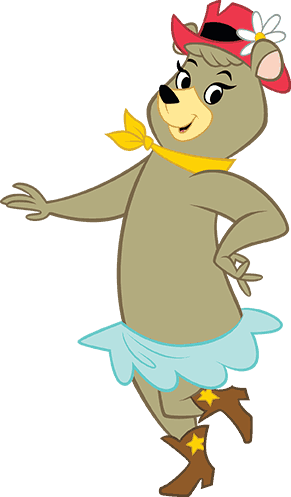 Yogi Bear™, Boo Boo™, and the kids will grab the Dads for some kickball relay races before our big game. Our famous Jellystone Park talent show is back. Dance like a star, sing like a rock star, tell your best joke, or show your best talent. 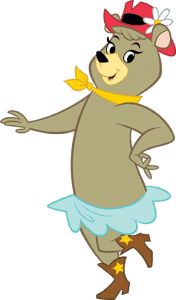 Everyone will walk the red carpet with Yogi Bear™ on Saturday night and our winners will walk away with prizes. Boo Boo™ Bear isn’t a dinosaur, but he does love them, so we’re celebrating his birthday with a dino-mite party weekend. Join the dinosaur dig in the sandbox, participate in dino arts and crafts, compete in the dinosaur trivia contest, and enjoy some birthday cake. Celebrate our nation’s birthday with red, white, and blue crafts and tie dye, cookie decorating, and even red, white and blue foam machine bubbles. Bring and decorate your bike, grab a noise maker, and join our pots and pan parade! 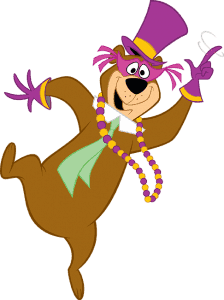 Dance the night away as Yogi Bear™, Boo Boo™, and Cindy™ join you on the dance floor. Don’t miss our 50/50 raffle with proceeds going to the Wounded Warriors Project®. Join Cindy Bear™ as we make wacky, charming, and crazy hats to wear to her tea party. We’ll continue celebrating by decorating (and eating) cookies. 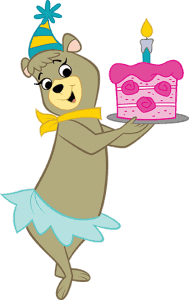 Wear your new hat during the fashion show on Saturday and then eat cake and dance all night long with Yogi Bear™, Boo Boo™, and Cindy. It’s going to be an ooey, gooey, squishy, slimy weekend. Join us and make your own slime. Plus, we’ll have a slimy slip and slide, a slimy tug of war, a slimy egg toss, slimy whiffle ball, and more. Saturday night, join Yogi Bear™, Boo Boo™ and Cindy Bear™ at our Slimy Music Festival. 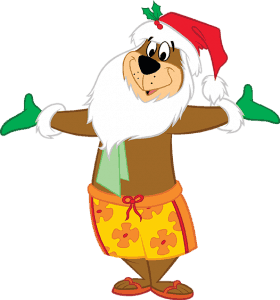 Celebrate all the fun of Christmas with Yogi Bear™, without the chill! Make your own ornaments and snow globes and help Cindy Bear™ decorate the tree. We’ll turn our foam machine red and green, sing Christmas songs on the hayride, and hold our annual Christmas site decorating event. Join us for beads, noise makers, and mask making aplenty. We’ll decorate the Hey Wagon, bikes, sites, golf carts, and even ourselves. Don’t miss our Mardi Gras ball on Saturday night. Become a Junior Ranger and earn your official Ranger Smith™ badge this weekend! 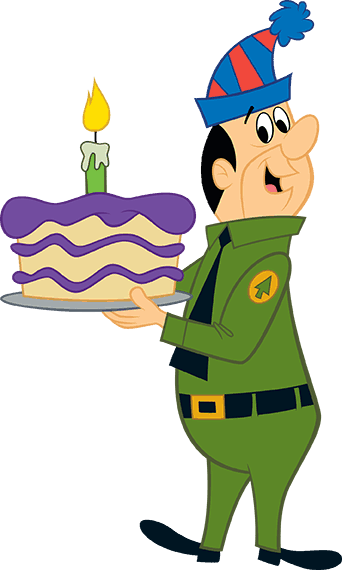 We’ll have a nature scavenger hunt, make nature crafts, and we’ll all join Yogi Bear™, Boo Boo™, and Cindy Bear™ to celebrate Ranger Smith’s birthday with cake for everyone! Bring your grass skirts, leis, and those beautiful floral shirts so you’re properly prepared for our pineapple eating contest, hula lessons, volleyball, outdoor Friday night movie and Saturday night karaoke. Ladies, enter your favorite guy in our annual Mr. Jellystone pageant by dressing him in your finest! Howdy partners! It’ll be a hand-slappin’, foot stompin’ good time hoedown. There will be horse races, a horseshoe tournament, and a largest cowboy hat contest. Plus, you can learn how to tie a Cowboy Bowline Knot! Celebrate the last big weekend of the summer with our famous wet and wild wagon rides, water balloon wars, $1 Bingo and a glow stick dance party with Yogi Bear™, Boo Boo™ and Cindy Bear™. Help us give back to the community by donating a canned good, unused toy, or blanket for our cancer patient drive.